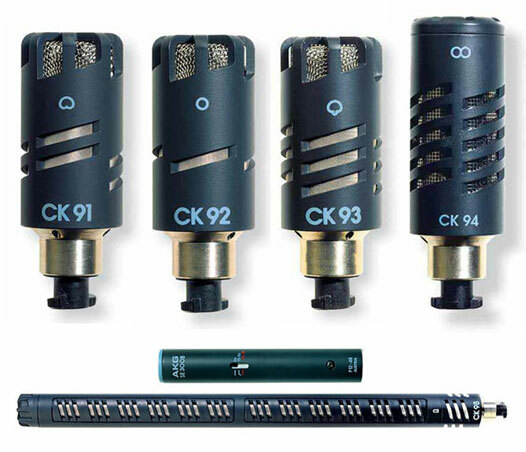 The AKG Blue Line is a system microphone, a family of small diaphragm condenser mics. It is of modular construction with the ability to inter­change capsules of different characteristics within seconds due to its unique snap-on attachment. Many acces­sories and eight different capsules are available. Its one basic powering output module is the SE-300-B, with switchable low-frequency roll-off and switchable pad to prevent distor­tion and clipping problems. Five of the eight capsules are shown below. Download the specifications for this mic. Download the instructions for this mic.